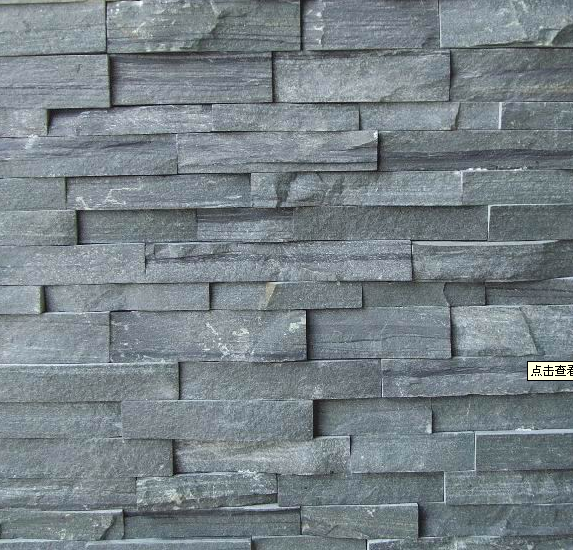 Cultured stone is lighter than natural stone, but the installation of manufactured stone is similar to the installation of natural stone. Cultured stone creates an ornamental accent for outdoor areas but is typically more expensive than natural stone because of the manufacturing process. Properly installed, culture stone can last several decades. Improperly installed with weak or dried out mortar, cultured stone will fall away from the wall. Install stacked stone to cover walls and fences with little preparation and a few masonry tools. Firstly, attach galvanized mesh to the masonry wall with concrete fasteners. Block, concrete and brick are masonry walls. If the wall is wood, or has wood studs, attach a vapor barrier and a 15-pound felt paper to the wall under a 2.5-lb. galvanized metal lath, using a staple gun and 1-inch staples. Staple the metal lath to the wall at the studs, keeping the staples 6 inches apart. Secondly, mix mortar in a 5-gallon bucket according to the manufacturer's directions. Mix only a small amount of mortar at a time. Partially dried mortar is not usable and cannot be reconstituted by adding additional water. Thirdly, cover the stone wall with a thin layer of mortar, about a half-inch thick, using a trowel. Fourthly, mix powdered Portland cement with water in a 5-gallon bucket to the consistency of thin paint to make cement paint. Fifthly, paint the cement mixture onto the back of the stone and to the wall where the stone will be attached with a paintbrush. Sixthly, apply stucco an inch thick to the back of the culture stone with a trowel and press the stone firmly into place on the wall. Hold the stone in place for 10 to 20 seconds.